An official has identified a South Carolina police officer who authorities say was killed during a confrontation with a man who held children hostage as he shot seven law enforcement officers. President Donald Trump is offering his condolences to the South Carolina officers shot in a fatal confrontation with a suspect who held children hostage in a home and fired at deputies. Six law enforcement officers were wounded and one killed after officers came under fire while trying to serve a warrant in the city of Florence. Authorities say the suspect is in custody. Officials have not released the suspect’s name or condition. 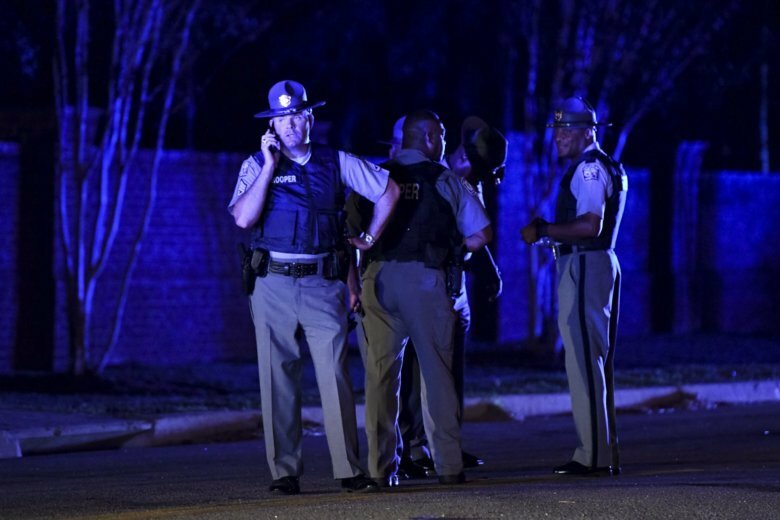 City officials say a total of seven law enforcement officers were wounded including one fatally, in a South Carolina shooting. Florence city spokesman, John Wukela, gave the updated total Wednesday evening. Authorities say the incident unfolded as sheriff’s deputies were trying to serve a warrant in the town of Florence. An official says that one of the five law enforcement officers wounded in a South Carolina shooting has died. Florence County Coroner Keith von Lutcken says the dead officer was a member of the city police department. Florence city spokesman John Wukela says city police, working with the sheriff’s office, were responding to an incident in the area when they came under fire. Sheriff’s Deputy Chief Glenn Kirby told news outlets that three Florence County sheriff’s deputies and two city officers were shot during the incident. A suspect was in custody but no further details were immediately available. Authorities say five South Carolina law enforcement officers have been shot in Florence County and the suspect is in custody. News outlets report sheriff’s Deputy Chief Glenn Kirby confirmed the incident Wednesday. Kirby says three Florence County sheriff’s deputies and two city officers were shot. Information on their conditions was not immediately available.